Do you want to play with the new version of SharePoint? Have you developed a SharePoint app and want to see if it works with SharePoint 2016? 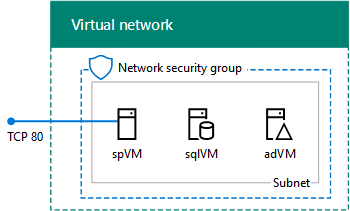 Create and configure a virtual machine running SQL Server 2014. Create and configure a virtual machine running a trial version of SharePoint Server 2016, including creating a single-server SharePoint 2016 farm. When complete, you can access a default team site from the Internet and expand the farm as needed to meet your evaluation or dev/test needs.